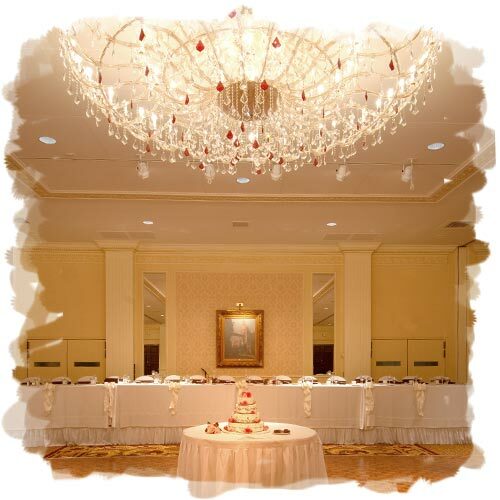 For more than 120 years, our wedding ballrooms and event spaces have hosted over 6,500 weddings. The Pfister Hotel® has developed and maintained a tradition of elegance and personal service for Milwaukee's most discerning brides and grooms. The Pfister Hotel's® greeting, Salve, promises guests a level of gracious service unmatched by other Milwaukee hotels, and we’re proud to build on the foundation of this promise with each wedding we host. Choosing the Pfister for your Milwaukee wedding venue will define the experience for both you and your guests. Spectacular hotel ballroom architecture, luxurious accommodations, unrivaled venues, and a sense of history distinguish The Pfister Hotel® as the perfect backdrop for an unforgettable event. The Pfister’s spacious and elegant Milwaukee hotel ballrooms can accommodate guest lists both large and small, making it the best downtown Milwaukee wedding venue. Planning Your Dream Wedding Without Your Dream Funds? Visit MarcusWeddings.com to learn about our special offers for December dates, including New Years Eve, Valentine's Day, and our Friday/Sunday packages. The Pfister Hotel has previously been named Wisconsin Bride magazine's Best Wedding-Night Hotel. "The Pfister staff was very professional and responsive to our needs. When we explained what we were looking for—a place for my bridesmaids and me to gather and get ready together before the ceremony—they upgraded us to a large suite with a separate parlor. Learn more about our luxurious Milwaukee wedding venue and contact us for an appointment today!